Recent Arrival! 2014 Kia Forte Koup EX Awards: * 2014 KBB.com Brand Image Awards Reviews: * The 2014 Kia Forte's key strengths include its good looks, great tech and a generous warranty. Source: KBB.com * The peppy, economical, four-door Kia Forte has been redesigned for 2014! It's larger and roomier than the previous generation of Fortes, and boasts a new, sportier exterior. As with all Kia models, the 2014 Forte packs a lot of bang for your buck. The quieter engine and refined suspension mean a pleasant ride that feels like a larger, more expensive car. You can choose either the six-speed manual transmission, only available in the LX trim, or the six-speed automatic with overdrive that is standard in the EX and an option in the LX. Depending on your choice of trim, you'll enjoy fuel economy ranging from an EPA estimated 24 MPG in the city, to 37 MPG on the highway. The trunk is generously-sized, larger than most compact vehicles, meaning you can fit all your gear, from groceries to golf clubs. Standard equipment includes steering wheel mounted audio controls, electronic stability control, and heated door mirrors. For added style, consider the available Premium Package, with items such as leather seat trim, power sunroof, push button start, ventilated driver's seat and heated steering wheel. The Forte is also offered as a five-door hatchback, and the sporty two-door Forte Koup, each having its own unique specifications, capabilities, and package specifics. Source: The Manufacturer Summary At SMH Auto Sales we provide transparent on the road pricing right on our website! No hidden fees, no games!! Just 100 percent transparency and excellent customer service!!! Enjoy our 3 month 4,500 mile warranty on every eligible vehicle. Financing with rates as low as 2.99 percent! Bad Credit, No Problem!!! We have financing for everyone. If you are purchasing a car the registration fee advertised will be reduced by $52!! These On The Road Prices are for Maryland Residents ONLY!! Out of state customers will pay their respective states Tax, Tag, Title, and Registration. Recent Arrival! 2014 Ford Mustang V6 Premium ABS brakes, Compass, Electronic Stability Control, Illuminated entry, Low tire pressure warning, Remote keyless entry, Traction control. Awards: * 2014 KBB.com 5-Year Cost to Own Awards * 2014 KBB.com 10 Coolest New Cars Under $25,000 * 2014 KBB.com Brand Image Awards At SMH Auto Sales we provide transparent on the road pricing right on our website! No hidden fees, no games!! Just 100 percent transparency and excellent customer service!!! Enjoy our 3 month 4,500 mile warranty on every eligible vehicle. Financing with rates as low as 2.99 percent! Bad Credit, No Problem!!! We have financing for everyone. If you are purchasing a car the registration fee advertised will be reduced by $52!! These On The Road Prices are for Maryland Residents ONLY!! Out of state customers will pay their respective states Tax, Tag, Title, and Registration. 2016 Honda Civic LX-P Black/Ivory w/Cloth Seat Trim. 30/41 City/Highway MPG Awards: * 2016 IIHS Top Safety Pick+ (When equipped with honda sensing) * NACTOY 2016 North American Car of the Year * 2016 KBB.com Brand Image Awards 2016 Kelley Blue Book Brand Image Awards are based on the Brand Watch(tm) study from Kelley Blue Book Market Intelligence. Award calculated among non-luxury shoppers. For more information, visit www.kbb.com. Kelley Blue Book is a registered trademark of Kelley Blue Book Co., Inc. At SMH Auto Sales we provide transparent on the road pricing right on our website! No hidden fees, no games!! Just 100 percent transparency and excellent customer service!!! Enjoy our 3 month 4,500 mile warranty on every eligible vehicle. Financing with rates as low as 2.99 percent! Bad Credit, No Problem!!! We have financing for everyone. If you are purchasing a car the registration fee advertised will be reduced by $52!! These On The Road Prices are for Maryland Residents ONLY!! Out of state customers will pay their respective states Tax, Tag, Title, and Registration. 2014 Chevrolet Camaro 1LS 4-Wheel Antilock 4-Wheel Disc Brakes, ABS brakes, Alloy wheels, Compass, Electronic Stability Control, Emergency communication system, Illuminated entry, Low tire pressure warning, Navigation System, Remote Keyless Entry, Remote keyless entry, StabiliTrak, Traction control. Priced below KBB Fair Purchase Price! Awards: * JD Power Dependability Study * ALG Best Residual Value * 2014 KBB.com Best Resale Value Awards * 2014 KBB.com 10 Coolest New Cars Under $25,000 * 2014 KBB.com Brand Image Awards Reviews: * Whether you're a 20-something performance enthusiast seeking a car that boasts loads of power and aggressive looks, or a mid-lifer ready to get your crisis on/relive your youth, the 2014 Camaro offers serious thrills for the money. Source: KBB.com * Strong acceleration with any engine; head-turning looks; good V6 fuel economy; capable handling. Source: Edmunds * The 2014 Chevrolet Camaro has impressive horsepower and fuel economy, and is a spirited performer that's also practical for everyday use. From the fun convertible models, to the near super-car performance of the ZL1, there is a Chevy Camaro for just about every taste and budget. Some cars attempt a retro feel that doesn't quite work, but the Camaro's design team nailed the spirit of the original without insulting it. New for 2014, the Camaro has been given exterior design updates, which include a reworking of the front fascia, rear taillights and diffuser. The Camaro now offers five engine choices for 2014. LS and LT models use a 3.6-liter, 323-horsepower V6. SS versions have a 6.2-liter, 400-horsepower V8 with Active Fuel Management for models with the automatic transmission, or a 6.2-liter, 426-horsepower V8. ZL1 models use a supercharged V8 with 580-horsepower. Standard features on the Base LS model coupe include an AM FM CD satellite radio with 6-speakers, auxiliary jack and Bluetooth, plus Cruise Control and 18-inch steel wheels. Moving up one trim, the LT Coupe and Convertible add features like a 7-inch touch screen, Chevrolet MyLink, USB input and power front seats. Move up into the SS and experience the power of the 6.2-liter V8 engine, Brembo brakes, and gorgeous 20-inch wheels. In terms of Safety, every model has six airbags, traction control, stability control, and the OnStar communications system, which has concierge services, and emergency services like automatic crash response. Sports car buffs looking to get a great deal of horsepower for the money will find the 2014 Chevy Camaro an enticing proposition. For those looking to turn some heads, the Camaro is what you want to drive. Source: The Manufacturer Summary At SMH Auto Sales we provide transparent on the road pricing right on our website! No hidden fees, no games!! Just 100 percent transparency and excellent customer service!!! Enjoy our 3 month 4,500 mile warranty on every eligible vehicle. Financing with rates as low as 2.99 percent! Bad Credit, No Problem!!! We have financing for everyone. If you are purchasing a car the registration fee advertised will be reduced by $52!! These On The Road Prices are for Maryland Residents ONLY!! Out of state customers will pay their respective states Tax, Tag, Title, and Registration. Recent Arrival! 2014 Ford Mustang V6 Premium ABS brakes, Compass, Electronic Stability Control, Illuminated entry, Low tire pressure warning, Remote keyless entry, Traction control. Awards: * 2014 KBB.com 10 Coolest New Cars Under $25,000 * 2014 KBB.com 5-Year Cost to Own Awards * 2014 KBB.com Brand Image Awards At SMH Auto Sales we provide transparent on the road pricing right on our website! No hidden fees, no games!! Just 100 percent transparency and excellent customer service!!! Enjoy our 3 month 4,500 mile warranty on every eligible vehicle. Financing with rates as low as 2.99 percent! Bad Credit, No Problem!!! We have financing for everyone. If you are purchasing a car the registration fee advertised will be reduced by $52!! These On The Road Prices are for Maryland Residents ONLY!! Out of state customers will pay their respective states Tax, Tag, Title, and Registration. Recent Arrival! 2013 Cadillac CTS Base AWD. 18/27 City/Highway MPG Reviews: * Whether you're looking for a premium American car that stands out in the crowd or a luxurious ultra-high-performance vehicle, the CTS series will deliver. Source: KBB.com * Sharp styling; athletic handling; elegant cabin; available all-wheel drive. Source: Edmunds At SMH Auto Sales we provide transparent on the road pricing right on our website! No hidden fees, no games!! Just 100 percent transparency and excellent customer service!!! Enjoy our 3 month 4,500 mile warranty on every eligible vehicle. Financing with rates as low as 2.99 percent! Bad Credit, No Problem!!! We have financing for everyone. If you are purchasing a car the registration fee advertised will be reduced by $52!! These On The Road Prices are for Maryland Residents ONLY!! Out of state customers will pay their respective states Tax, Tag, Title, and Registration. Recent Arrival! 2014 Chevrolet Camaro Awards: * JD Power Dependability Study * ALG Best Residual Value * 2014 KBB.com Best Resale Value Awards * 2014 KBB.com 10 Coolest New Cars Under $25,000 * 2014 KBB.com Brand Image Awards Reviews: * Whether you're a 20-something performance enthusiast seeking a car that boasts loads of power and aggressive looks, or a mid-lifer ready to get your crisis on/relive your youth, the 2014 Camaro offers serious thrills for the money. Source: KBB.com * Strong acceleration with any engine; head-turning looks; good V6 fuel economy; capable handling. Source: Edmunds * The 2014 Chevrolet Camaro has impressive horsepower and fuel economy, and is a spirited performer that's also practical for everyday use. From the fun convertible models, to the near super-car performance of the ZL1, there is a Chevy Camaro for just about every taste and budget. Some cars attempt a retro feel that doesn't quite work, but the Camaro's design team nailed the spirit of the original without insulting it. New for 2014, the Camaro has been given exterior design updates, which include a reworking of the front fascia, rear taillights and diffuser. The Camaro now offers five engine choices for 2014. LS and LT models use a 3.6-liter, 323-horsepower V6. SS versions have a 6.2-liter, 400-horsepower V8 with Active Fuel Management for models with the automatic transmission, or a 6.2-liter, 426-horsepower V8. ZL1 models use a supercharged V8 with 580-horsepower. Standard features on the Base LS model coupe include an AM FM CD satellite radio with 6-speakers, auxiliary jack and Bluetooth, plus Cruise Control and 18-inch steel wheels. Moving up one trim, the LT Coupe and Convertible add features like a 7-inch touch screen, Chevrolet MyLink, USB input and power front seats. Move up into the SS and experience the power of the 6.2-liter V8 engine, Brembo brakes, and gorgeous 20-inch wheels. In terms of Safety, every model has six airbags, traction control, stability control, and the OnStar communications system, which has concierge services, and emergency services like automatic crash response. Sports car buffs looking to get a great deal of horsepower for the money will find the 2014 Chevy Camaro an enticing proposition. For those looking to turn some heads, the Camaro is what you want to drive. Source: The Manufacturer Summary At SMH Auto Sales we provide transparent on the road pricing right on our website! No hidden fees, no games!! Just 100 percent transparency and excellent customer service!!! Enjoy our 3 month 4,500 mile warranty on every eligible vehicle. Financing with rates as low as 2.99 percent! Bad Credit, No Problem!!! We have financing for everyone. If you are purchasing a car the registration fee advertised will be reduced by $52!! These On The Road Prices are for Maryland Residents ONLY!! Out of state customers will pay their respective states Tax, Tag, Title, and Registration. 2014 Cadillac CTS Premium **PASSES STATE INSPECTION**, **NAVIGATION GPS NAV**, **USB PORT**, **REAR BACK UP CAMERA**, **PREMIUM SOUND**, **LEATHER INTERIOR**, **HEATED SEATS**, AWD. Priced below KBB Fair Purchase Price! 18/26 City/Highway MPG Reviews: * Expressive design, impressive dynamic qualities and polished Cadillac character make all versions of the CTS appealing, but the all-new Sedan raises those benchmark qualities to new levels in all three areas. Source: KBB.com * Sharp styling; elegant cabin with user-friendly electronics interface; available all-wheel drive. Source: Edmunds * The CTS comes to you in the form of 3 distinct body styles a Sedan, a Coupe, and a Sport Wagon. CTS exudes a sleek appearance that questions everything. Its angular silhouette, unconventional edges and distinctive rooflines were all purposefully executed. Every aspect of its design has been crafted with a keen eye for detail. Signature vertical LED taillamps are longer lasting and more energy efficient than conventional bulbs and create a subtle fin that is pure Cadillac. The CTS displays an assertive, wide stance that gives it an aggressive bearing. More than a mere design statement, a wider stance achieves greater balance and increased responsiveness on the road. Every touchpoint in the CTS was thoughtfully placed for intuitive driver control. The motorocycle-inspired high-performance gauges are strategically placed and easy to read. Details begin to come alive under the warm glow of the available ambient lighting including the polished metal accents and elegant French stitching on the available supple leather seating surfaces. Power in the Sedan comes standard with a 272hp 2.0L turbo engine or you can opt for a 3.6L V6 with 321hp. The Sport Wagon comes with a 3.0L direct injection V6 with 270hp. The Sport Wagon also comes available with the same standard engine on the Coupe, a powerful 3.6L direct-injection V6 with 318hp. On all V-Line model these magnificent vehicles are powered by a 6.2L supercharged V8 with 556hp and 551 lb.-ft. of torque. The available precision-tuned All-Wheel Drive continuously adjusts power distribution to optimize traction and handling in inclement weather. Your personal command center. The interior includes an available navigation system with Voice Guidance, 3-D color imaging, rear-view camera, 10-speaker Bose 5.1 surround sound system, Bluetooth, USB port, and pause and play radio. 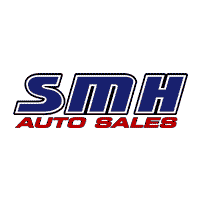 Source: The Manufacturer Summary At SMH Auto Sales we provide transparent on the road pricing right on our website! No hidden fees, no games!! Just 100 percent transparency and excellent customer service!!! Enjoy our 3 month 4,500 mile warranty on every eligible vehicle. Financing with rates as low as 2.99 percent! Bad Credit, No Problem!!! We have financing for everyone. If you are purchasing a car the registration fee advertised will be reduced by $52!! These On The Road Prices are for Maryland Residents ONLY!! Out of state customers will pay their respective states Tax, Tag, Title, and Registration. Recent Arrival! 2007 Chevrolet Corvette Base Reviews: * If you love your cars American and iconic, the Corvette is a sports car purist's dream come true. Drivers experience awesome V8 power, amazing handling and an interior filled with more creature comforts than some luxury cars. Source: KBB.com At SMH Auto Sales we provide transparent on the road pricing right on our website! No hidden fees, no games!! Just 100 percent transparency and excellent customer service!!! Enjoy our 3 month 4,500 mile warranty on every eligible vehicle. Financing with rates as low as 2.99 percent! Bad Credit, No Problem!!! We have financing for everyone. If you are purchasing a car the registration fee advertised will be reduced by $52!! These On The Road Prices are for Maryland Residents ONLY!! Out of state customers will pay their respective states Tax, Tag, Title, and Registration.